As a sport nutritionist I’ve had the opportunity to work with thousands of athletes and tennis players. And regardless of skill level and age the one request from every athlete is to find ways to become quicker and faster. Speed can be the difference maker on the court. Reaching that drop shot, running down that overhead lob and accelerating into position to hit that winner. Many times when we think of speed we look at footwork training, sprints, cardio tennis, etc but the real difference maker in your speed it activating your body to burn body fat. The leaner you are the faster you are. I wrote this article about eating fat to burn fat to help you build off the info you already learned in our 5 part series of Eating Like a Tennis Champion. Get ready, it’s time to learn exactly why Eating Fat will get you faster on the court!! It’s hard to believe but you must eat fat to burn fat. Yes, a spoonful of peanut butter, a ripe avocado, a handful of coconut chips, fresh olives, zesty Italian dressing and sliced almonds are all examples of healthy fats and types of foods that will help maximize your results and court speed. Saturated fat is considered “bad” because it raises the level of “bad” cholesterol (LDL) in your blood and can increase your risk of heart disease. But this primarily applies to saturated fat that comes from animal based protein, or byproducts of animal protein, like beef, bacon, butter, and cheese. Plant based saturated fat, like coconut oil does not have the same negative effects on your “bad” cholesterol, and coconut oil has been shown to have great additional health benefits. The reality is this: animal based saturated fat is fine to have as long as it is consumed in moderation. Your goal is consuming less than 15 grams of animal saturated fat per day. But when it comes to plant based saturated fat, you can eat more than 15 grams per day. 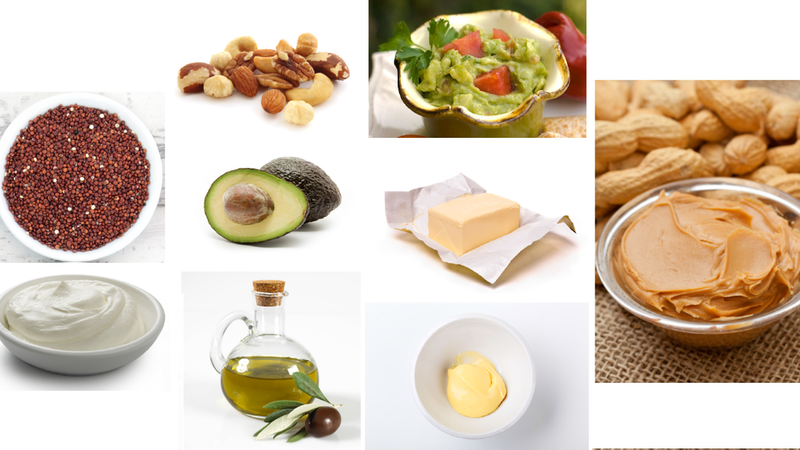 Unsaturated fats do not raise your “bad” cholesterol (LDL) and may actually help in reducing it. Since these are your “good” fats, I recommended that you use unsaturated fats as your primary fat source in each meal. - Eat a fatty fish at least three times a week, preferably salmon. - Take 3000 – 5000 mg of fish or flax oil, or chia, hemp seed. Even though fish is great for your body, my taste buds don’t love fish so I take 5000 mg of pharmaceutical grade fish oil. My wife Abbi, gets her omega-3 through chia seeds. Even our 12-year-old son Hunter takes 2000 mg of fish oil per day (he doesn’t like eating fish either, he has my fish taste buds!). Ok! You have the Complete 411 on WHY you need to eat fat, and remember, less body fat means more speed! So next time someone says “be careful that food has fat in it”, you can reply “great, I need to eat fat to burn fat” and it’s making me a faster and stronger tennis player!